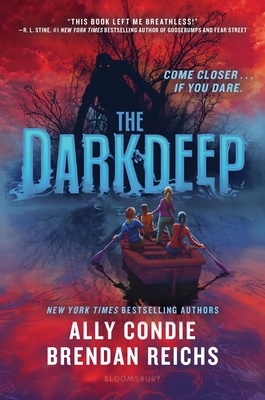 New York Times bestselling authors Ally Condie and Brendan Reichs team up to co-author this thrilling first book in a darkly suspenseful middle grade series. Everyone in Timbers knows Still Cove is off-limits, with its creepy Beast sightings and equally terrifying legends. But when a bullying incident sends twelve-year-old Nico Holland over a cliff and into Still Cove's icy waters, friends Tyler and Emma--and even Opal Walsh, who usually runs with the popular kids--rush to his rescue . . . and discover a mysterious island hiding in the murky, swirling mists below. Ally Condie is the author of the #1 New York Times bestselling Matched Trilogy and of the middle-grade novel Summerlost, a 2016 Edgar Award Finalist for Best Juvenile Mystery. A former English teacher, she lives with her husband and four children outside of Salt Lake City, Utah, and is the founder of the non-profit WriteOut Foundation. Brendan Reichs is the author of the instant New York Times bestseller Nemesis and its sequel Genesis, and co-author of the six-volume Virals series. Brendan is also a member of the Executive Board for both YALLFEST and YALLWEST literary festivals and has received a MFA in Creative Writing from the Vermont College of Fine Arts. He lives in Charlotte, North Carolina, with his wife, son, daughter, and a herd of animals that tear up everything.